There’s a reason the finest healthcare practitioners have trusted Professional Health Products® for over 40 years: our commitment to superior ingredients and innovative products. We oversee the entire process from sourcing and formulation to manufacturing and labeling. This is possible because unlike competitors, we partner with a biochemist and medical doctor, and own our manufacturing facility, which is FDA-approved and GMP-compliant. We are pleased to offer over 400 unique products that can be tailored to the nutritional and homeopathic needs of each individual. You can’t cut corners when it comes to quality. That’s why we’re dedicated to sourcing the cleanest, most biologically active ingredients possible. That means we use trusted global sources that undergo a guaranteed analysis, including Albion® organic, vegan minerals and New Zealand glands and tissues. It’s one thing to start with high-quality ingredients, but creating formulations with the right doses of the right vitamins and minerals is where the real magic happens. Our science team reviews the latest research to create our formulations, and is also available to create custom formulations for your private, 3rd-party label. All Professional Health Products supplements are manufactured at our own NSF-certified facility in California in the United States. Our homeopathic line is innovative in approach, yet strongly tied to proven methods. HPUs and Hahnemanns’ methods for producing homeopathics, particularly hand succession, are strictly followed. 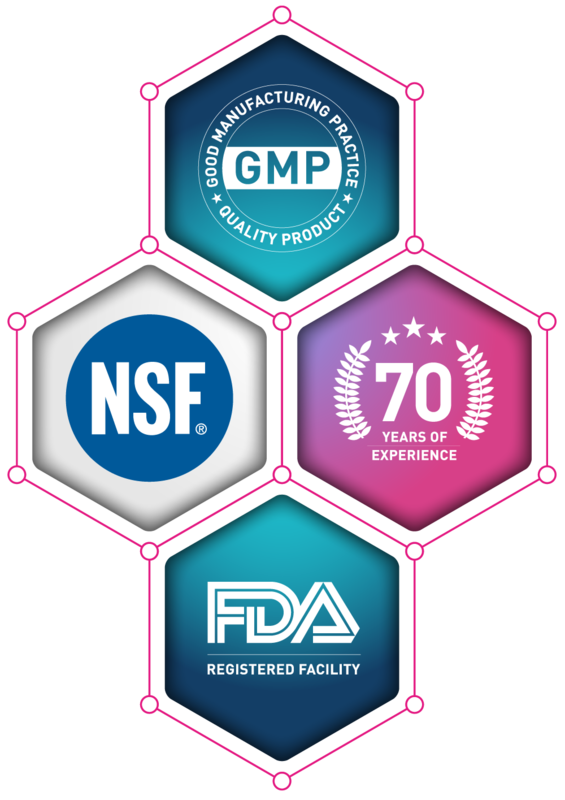 Our NSF®-certified facility has been manufacturing the highest quality nutritional and dietary supplements for over 70 years. We are licensed and inspected by both state and federal authorities, including the FDA. All of our products are created under climate-controlled conditions following Good Manufacturing Practices (GMP). Document and Record Control – Our Quality Control department updates and maintains all documents, records, and Standard Operating Procedures (SOPs). Supplier Qualification – Our ingredient sources and suppliers must meet our strict quality requirements, as well. All ingredients and shipments must be labeled with tamper-evident seals and be accompanied by full documentation, including an independent Certificate of Laboratory Analysis. Ingredient and Finished Product Testing Methods – Professional Health Products continues to implement the most recent FDA-testing protocol per the latest GMP guidelines. 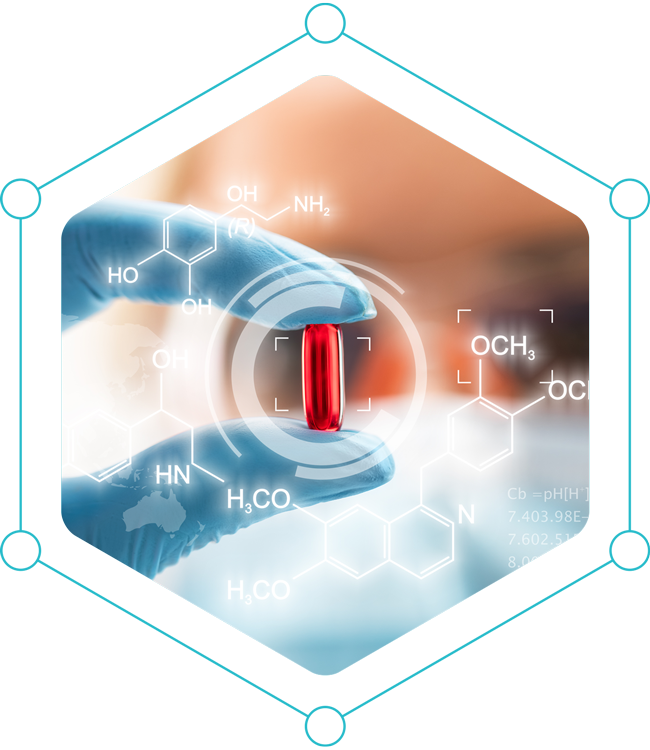 We are currently improving our analytical testing procedures to confirm the identity and potency of the ingredients in every PHP® supplement. This includes full-service testing, microbiological and stability studies. Custom Manufacturing – Another service we offer is custom vitamin and supplement formulation, manufacturing, and private labeling. We’ll source all ingredients and work with you to create unique formulations for your own private line of vitamins and supplements. Our creative team is available to help with branding, labeling, packaging, and marketing. Get started with a custom order as low as 60 bottles for supplements or 120 bottles for liquid products. Please contact us for more information on custom formulations, manufacturing, and private labeling.